To me, this data says a mix of small cap value with a total market fund would be better than a total stock market fund alone - in most prior time periods. Do others have data that contradicts Portfolio Visualizer? Or additional data going back farther in time? 1. The past does not necessarily reflect the future. I can find data for the last 30 years that is vastly different than the last 50 years, so even the last 30 years does not help reflect the (not so short term) future. Similarly 100+ years ago the US was 25% of the worlds market cap and is now over 50% and some markets have gone the other way and halved, so again, the idea that the past will indicate the future is not necessarily correct. 2. Small caps can and has under performed the overall market for well over a decade at a time. If there is a chance that after say 15 years of under performance (and that is a damn long time), you might get fed up and just give up and sell it, then you would have been better not tilting towards it in the first place. This is the main reason why I stick with market cap, there is a high risk that I will just give up on it and end up under performing what I could have by just going market cap. 3. In retirement when drawing down, the higher swings up are also matched by higher swings down for SCV, which means your SOR risk is exacerbated. As someone who doesn't even have 20+ years to wait for it to come good, it is really not remotely worth it to me to take on the risk. As Rick Ferri pointed out in a great video, sure it probably will out perform, but only if you really have the conviction to leave it in there for decades. So just to throw a potential confounding factor out there: back in the 80s and 90s there were something like 7,000-8,000 total publicly traded companies in the USA. Today we have a little more than 4,000, both because the biggest companies are getting bigger and bigger and because new companies tend to stay private for much longer than than they did in the past. So are the characteristics of the population of small cap companies today really comparable to companies in the same market class 20 or 30 years ago? I dunno. I doubt you will find better or more data than Portfolio Visualizer and Portfolio Charts use. You can check the bogleheads Simba Spreadsheet, but I think they mostly use the same publicly available sources. Bernstein did analysis on a longer time scale in "ages of the Investor" so check that out. Portfolio Charts will give some very useful depictions and a bad case of confirmation bias. The main theory about why Small Value might outperform is that it is a risk premium. It is to stocks partly what stocks are to bonds, at least in terms of volatility and hopefully return. We all now that stocks can trail bonds for up to decades at a time, and small value is likely worse. If you are just starting making periodic investments for ten or 20 years then small value is looking pretty good, if you are living off your money it is risky. I invest half my US stocks in small value funds. I don't know whether that will turn out to be a good or bad idea. The scariest situation I can imagine is that "value" companies end up being those which do not adapt artificial intelligence as it goes parabolic. They then perpetually fail to meet ever-lowering expectations as investors fail to grasp the magnitude by which the future will differ from the past. Otherwise, on average the worst expectation is that they will have the same return as the broad market minus slightly higher expenses plus extra volatility, which will probably be a positive for a steady stream of new money. I provided data for the past 47 and 30 years, both showing a small cap value advantage. Do you think both passive indexing (buying S&P 500 or Total Stock Market) and small cap value are not validated by historical data? Your general comments seem to be applicable to any investment approach, if you're prepared to reject 50 years of historical data. That's interesting - another confounding factor is the bid-ask spread - the cost of buying and then selling a small cap stock. It was much higher 30 years ago than today. Share prices used to be in fractions of a dollar (for example, 1/8 meant $0.125) where today they are marked in fractions of a cent. And there's a lot more buying and selling, which reduces the risk of being stuck with a small cap stock. Some authors use data going further back than 1972, but I'm not aware of it being available for free to the public. For example, Center for Research in Securities Prices (CRSP) has data going back to 1926. I think confirmation bias kicks in when I test a novel idea as an individual and convince myself of it's worth - and especially if I don't seek out contrary data. For example, "large cap growth" could be viewed as the polar opposite of "small cap value", so maybe I could go over 2000-2009 in detail since that shows a long time frame where small cap value did worse than the market - and worse than large cap growth. But for "small cap" and "value" in particular, I'm hardly alone. Eugene Fama received the Nobel Prize for his work on the theory of efficient markets. He also extended those ideas with the "Fama-French Three Factor Model" which includes the factors of small size and value. So if there's confirmation bias, it's widespread. Paul Merriman is a big proponent of small value. He just released a "Two Funds For Life" plan using Target Date Funds and Small Value that's pretty compelling. I use a modified version of Merriman's Ultimate Buy and Hold, with 10 percent Small Cap Value. The historical data is convincing to me but I'm not so confident that I'm willing to bet half of my portfolio on it. 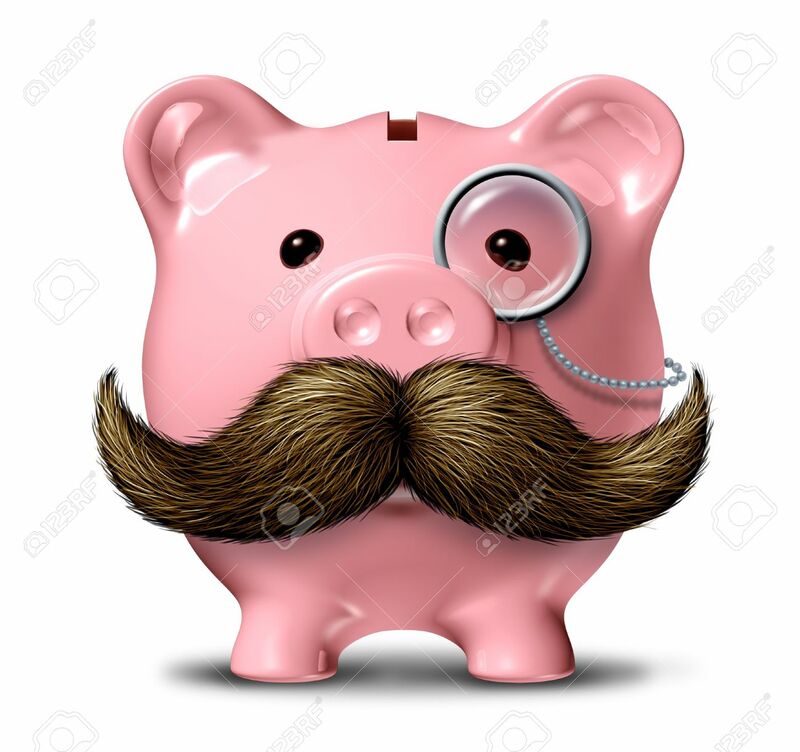 Since MustacheAndaHalf is a Larry Swedroe fan then he's probably already read it, but for everyone else the very best book I've read on the topic is Your Complete Guide To Factor Based Investing by Andrew Berkin and Larry Swedroe. I especially like the various criteria they discuss for evaluating a potential investing factor -- persistence, pervasiveness, robustness, intuitiveness, and investability. I highly recommend it for anyone interested in the nuts and bolts of small cap value. I concurr. I don't have links handy, but I've seen a couple different longer backtests that show stirring in some small cap and mid-cap will improve returns. Makes logical sense as well. Buying the index is essentially a large cap strategy. Large caps tend to be stable, but slower growing. It is not that I am rejecting historical data. The historical data also backs up what I am trying to say, which is that a period in the past may not represent the future (including multiple decades or more), and this can be not only seen in individual markets or markets overall, but also the way specific markets compare relative to the rest of the world. SCV can and has in the past under (and over) performed relative to the cap weighted market for a decade or (or more), and those future decades can make up most or all of one's investing life. So as to your point, no I'm not rejecting historical data, and I would go as far as to say that I am using it to show what the risks are. My measuring stick is all world market cap weighted index. I'm not sure if your point is that this "ruler" is arbitrary, but I don't think it is. A value stock is a value stock because the market has determined (for right or wrong) that it is worth less than it's earnings alone show. This is different to a market cap weighted fund which the market has decided all businesses in the market as valued at. It is entirely possibly that in present times, people are better able to value companies, which would reduce the premium going forward. You are making a bet by tilting whereas you are buying the whole haystack with an all world cap weighted index. There is a fundamental difference between that to me. I prefer to have my SCV weighted exactly as as been determined by the market since I accept that I have absolutely no chance of knowing more than the market. I would prefer to guarantee I get all world market cap weighted returns than take a risk on something that can under perform it for a decade or two or more going forward. Of course the all world market cap weighted returns could be different to the last 10 or 30 or 50 or more, and I would even bet it will be different, but I am not going to assume that I know more than the market by making an active bet on a segment against what the market has valued that segment at. I feel like I bring this up in many topics, but here it is for this one. If you make periodic contributions for one or more decades the expected return is roughly 0.5% annualized more for a low cost small cap value fund than a total market index even if there is no small cap premium during that time. So the odds are doubly in your favor if there is a small cap value premium. Once you retire, small cap value should trail the market by several basis points as you make periodic withdrawals and several more for higher expenses, in absence of hypothetical excess return, so it would take a lot more soul searching at that point to see if you really believe in its future. The biggest flaw with small cap value? Well, everyone already knows about it. If it has outperformed in the past, logically people would start over-weighting small-cap value, as many books and websites recommend. That means any previous inefficiency in the markets should be priced in now. Now that this information has been around for awhile, how have they performed? It's only 20 years of data, but it appears any advantage small value had in the past has disappeared since this relationship became common knowledge. EDIT: I didn't pick 05/21/1998. That's the inception date for both funds. I've got ~40% small cap value (VISAX), rest mostly total stock index, with a smattering of ex-US international. I've asked a similar question lots of years ago on Bogleheads. Mostly posting to follow and to confirm/refute my confirmation bias. Isn't it self sustaining though? If more and more people invest in SC, then the value will increase because more and more people invest in it. Prices increasing because more people are buying the asset and more people buying the asset because prices are increasing is how bubbles form. I'm a big fan of Vanguard, but these funds are about 55% mid caps (according to morningstar) and their median market cap is $3.8 billion (according to Vanguard). I thought banks, which are value stocks, would cause a bigger gap in the 2008-09 data. Also, I'm really surprised that if you step past 2000-02, and measure 2003-2018, small cap growth beat small cap value by about 1% per year. Admittedly, "last 16 years in order to skip the dot-com and 9/11 events" is a fairly cherry picked example - but the data still differs from my expectations, which makes it interesting. I've bookmarked it and plan to explore it, thanks for the helpful link. I believe the "Fama-French Four Factor Model" adds momentum as a factor, which I think the book calls the "premier anomoly". Without that book, I would never have started the "momentum experiment" shown in another thread (where my momentum picks have trailed the S&P 500 by about -15% over ~2.5 years). If you have a source of momentum performance, per that model, I'd be interested. But others, please don't tangent onto momentum - it's better to open another thread for that. I've bookmarked that link to watch the hour long video later. As the 20 year data shows, small caps out performed large caps. Even with a -0.2% performance for small value vs small growth, it's still ahead of a total market portfolio by about 2% / year. Different time periods show different results, naturally. One counter argument to splitting between small cap value and a target date fund is correlation. US small caps are heavily correlated with US large caps - they tend to rise and fall at the same time. International is slightly less correlated, and emerging markets even less so. If you want something that doesn't tend to fall when the US market drops, don't leave out bonds - which tend to be more out of sync with stocks than other equity categories like international or small caps. I thought it was well known that small caps outperform large caps in the long run. The tradeoff is they are more volatile which is understood to mean more risky. Similarly, the Nasdaq is expected to outperform the DJIA when markets are rising, but crash harder when they are falling. Investors tend to dislike a roller coaster, so there is a risk premium on small caps that yields a bit extra over long periods. So put it all in VB? IDK about that. Switching to a more volatile asset class will prove a mistake if the market falls, and a genius move if it rises. The best time to switch would be at a market bottom when you need to harvest tax losses and leverage the coming upswing. Risk of black swans book the Larry Portfolio talks about small caps. The out sized returns of Small Cap allow you to reduce stocks down to 30% making you very resilient to downturns if you are risk adverse and still have a SWR of 4%. Like others are pointing out, the primary risk here is probably everyone knows about it now and that may reduce volatility in Small Caps and reduce your returns actually for the total portfolio. The modern portfolios that seem to use multiple asset classes seem to do better with more volatile assets and re balancing. Besides PortfolioCharts and PortfolioVisualizer as resources, I really like this site for how he points out different portfolios if you retired in 2000 at the end (http://www.retireearlyhomepage.com/reallife18.html) and most of the data is for when he retired in 1994. Shows the Larry portfolio using small caps did pretty well for how low risk it is. But I don't know... seems like everything is a WAG. Interesting observation about what AI and the stock consolidation might do. I work in that space and it actually is getting easier every year for a single developer to add AI to various companies processes so I do not think this will be a factor long term (maybe short term). On top of that I can stand up crazy tech systems and manage them with cloud technology that would have taken 50+ engineers just a decade ago to maintain.